Turn your backyard into a designer outdoor getaway. 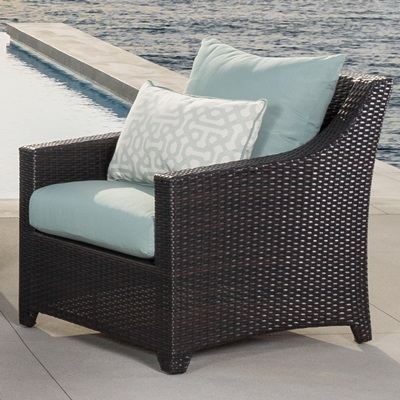 These outdoor motion club chairs and side table combo give you impeccable style and superior comfort. 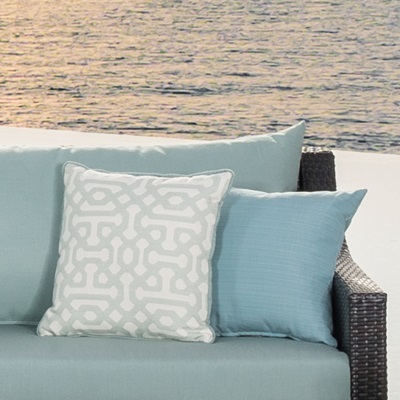 Featuring water-resistant cushions, built with sturdy powder coated aluminum frames, and adorned with all-weather resin wicker, it's the perfect complement to any outdoor space. 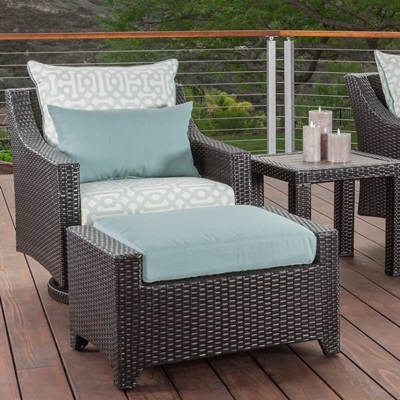 Set includes two motion club chairs with coordinated accent lumbar pillows, and a deluxe accent side table.